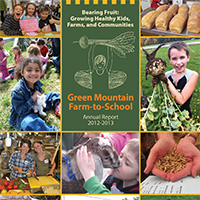 October is National Farm to School month and Green Mountain Farm to School (GMFTS) is gearing up! 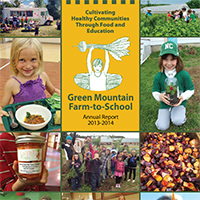 Activities and celebrations are taking place in schools across the state, as Governor Scott signed a declaration on October 2nd to proclaim this month as Vermont’s official Farm to School Month. 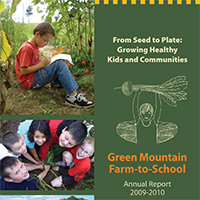 The benefits of Farm to School are far-reaching; at GMFTS we see this every day. 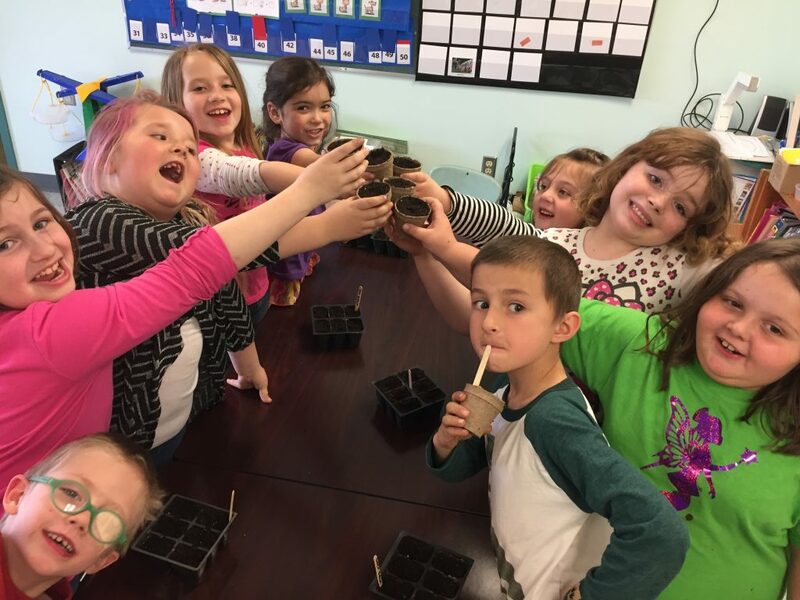 We are teaching kids about gardening and healthy food, and we are seeing the joy and wonder on a child’s face as they pull a carrot from the soil. 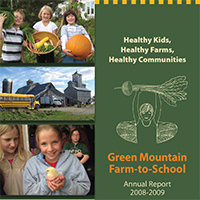 Over the last several weeks, students in the Northeast Kingdom (NEK) have enjoyed the All School Harvest Days. 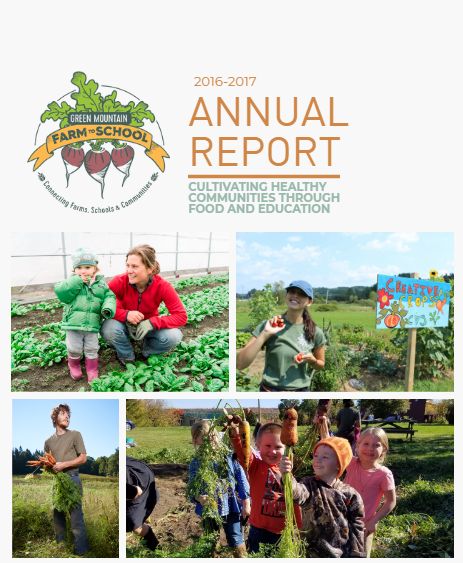 Kids have gathered piles of produce from their school gardens; the food is then served at each school’s open house where families, staff, and children can all enjoy the bounty of the harvest. 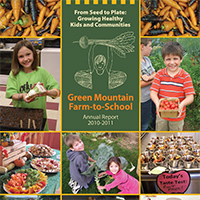 Maire Folan, GMFTS Farm to School Program Manager, expresses that as the program becomes more familiar to schools and families, perceptions are changing. “One principal noted that parents at her school didn’t used to eat the food prepared by the children, but now they do!” Folan shares. 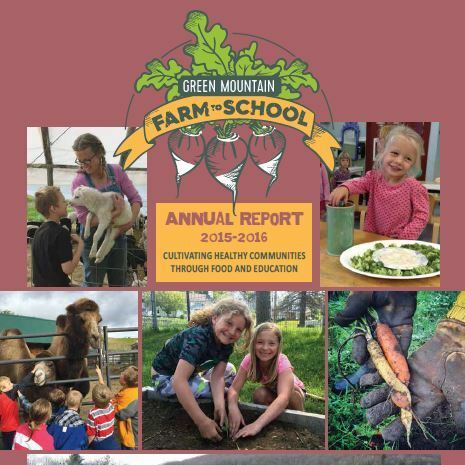 The fact that GMFTS has developed a long-term relationship with the schools — the principals, teachers, food service personnel, and students — is one valuable reason for the success of farm to school in the NEK. 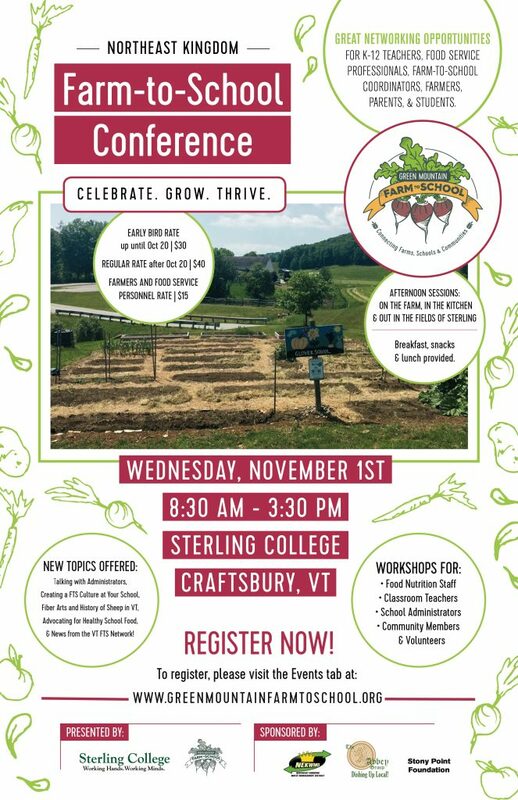 To top off Vermont/National Farm to School Month, the Northeast Kingdom Farm to School Conference will be held Wednesday, November 1, at Sterling College in Craftsbury Common. 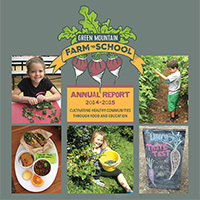 There will be a wide variety of sessions throughout the day for K-12 educators, food service professionals, farm-to-school coordinators, farmers, parents, and students. Visit here for more information and to register! 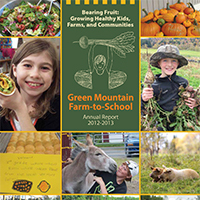 Farm to school programs are holding gatherings all over the state throughout October. 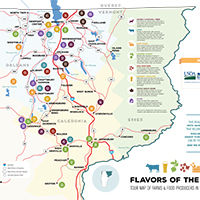 To learn more and to register for the meet-up in your part of the state, visit the Vermont Farm to School Network.